Please visit the Alliance for Childhood Cancer to see the full plate of legislative activity in which they engage as advocates for the childhood cancer community as a whole. The undersigned childhood cancer organizations are members of the Alliance for Childhood Cancer, consisting of patient advocacy groups, healthcare professionals and scientific organizations, representing millions of Americans who care deeply about childhood cancer. We write in support of House Resolution 114, which would designate May 17th as “DIPG Awareness Day” to raise awareness and encourage research into cures for diffuse intrinsic pontine glioma (DIPG) and pediatric cancers in general. Diffuse Intrinsic Pontine Glioma is the leading cause of childhood brain tumor deaths. 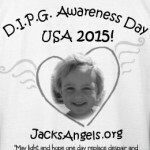 Every year, 200-400 children in the U.S. will be diagnosed with DIPG, and most of them will only survive nine months, or about as long as the typical school year. There is currently no consistent standard of care for these kids, and few treatments. The House resolution designating a DIPG Awareness Day would help spread awareness about this deadly disease, and support researchers in their efforts to find new therapies to treat DIPG. In addition, the resolution proposes that private and public research funding “elevate the consideration of the mortality rate of a type of cancer” to ensure that research is funded to find treatments for those with the most challenging diseases. 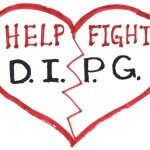 While all childhood cancer is devastating, DIPG is a particularly terrible disease that leaves children and their families with limited options and limited time. We urge you to pass this resolution to honor those children whose lives have been lost, and to encourage additional research to give hope for children diagnosed in the future. Children's Brain Tumor Foundation, St. Baldrick's Foundation, The Andrew McDonough B+ Foundation. Bookmark.